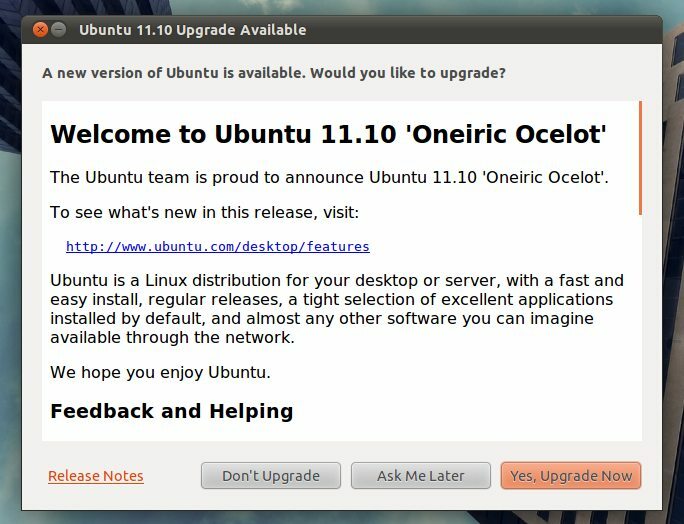 How Well Did Your Ubuntu 11.10 Upgrade Go? - OMG! Ubuntu! 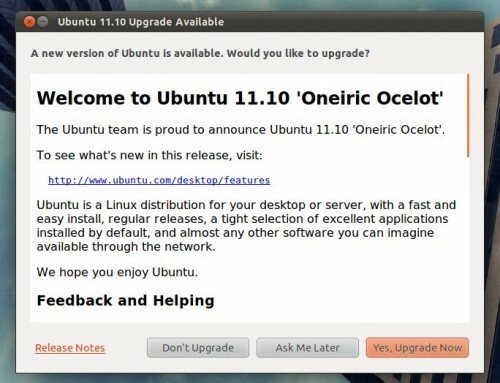 Ubuntu 11.10 has been out for little while now, so chances are many of you have upgraded. If you choose to upgrade via Update Manager (that is you saw the prompt below and clicked ‘Yes, Upgrade Now’) I’d love to know how it went for you. In all my years of using Ubuntu I have always done a ‘fresh’ install (that is I’ve reformatted my Ubuntu partition and reinstalled it from a Live CD/USB). This is partly out of habit; when I first started using Ubuntu there were often drawbacks or issues that resulted from performing a ‘direct upgrade’. But has it got any better? How did yours go?